Each panel is laid on the visible T-shape main and cross runner individually (FIG. A). The different type of runner can be used to form the square-shaped compartment such as U-shape runner, omega-shape runner and light trough in order to make the ceiling design more widespread and multiplex. The height of the panel is divided by 20mm, 25mm and 30mm offered. 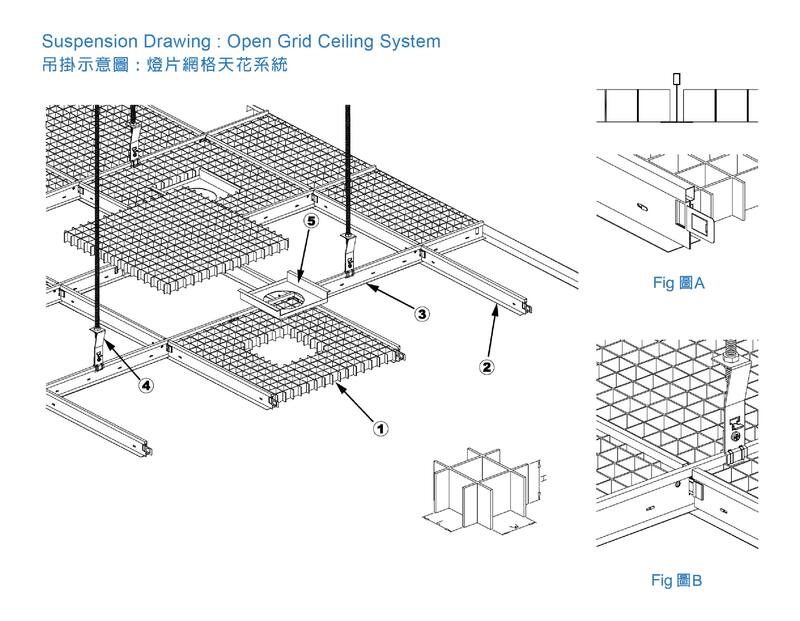 The entire ceiling is suspended by the T-runner clamp (P-102).